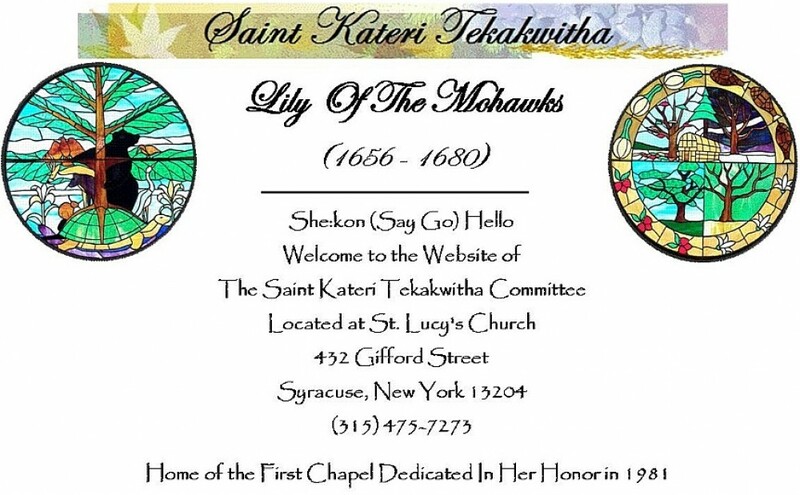 The (St.) Kateri Tekakwitha Committee was formed in 1979 to expedite the Canonization of a Native American woman born in the mid 1600’s, a woman who led an exemplary life and fought many obstacles to become and remain a Christian. This objective was realized, after 332 years when Pope Benedict recognized the miracles that were attributed to Kateri Tekakwitha and declared her a Saint on October 21, 2012. The (St.) Kateri Tekakwitha Committee worked very hard to bring Kateri’s strengths and devotion to people in dire need of miracles and making them very aware of the power of prayer. Our objective now is projecting St. Kateri Tekakwitha as our Evangelistic spiritual role model showing her strength, perseverance, faith and love of God along with her ability to overcome adversity as a result of her religious beliefs. We want to encourage self-esteem in our children who are at times being bullied just as St. Kateri was bullied as a child and as an adult because of her faith. We share Native Liturgies and feasts with the Native and non-Native communities encouraging their participation by printing portions of the Mass booklets in Mohawk phonetics. We have coffee hours that create an open forum to discuss any concerns or needs of those who wish to do so. We offer bereavement support, and hospital & home visits. We bring our St. Kateri Tekakwitha Relic to the sick, the terminally ill, the lonely and to those who are looking for relief from emotional distress through prayer. The reverence shown by those who are in the presence of our St. Kateri Tekakwitha Relic speaks volumes to their faith and confidence in her ability to hear their prayers. 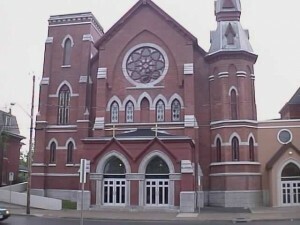 Meetings are held every second Sunday after 9:00 A.M. Mass in St. Lucy’s Church and we extend an invitation to everyone to join us in our mission. For more information, see any St. Kateri Tekakwitha member or call either St Lucy’s at 315-475-7273 or the Executive Director @ 315-481-2232.